British bond prices might suggest investors are phlegmatic about the too-close-to-call ballot. Yields are actually lower than at the start of 2015. But tepid demand at auctions and declines in foreign holdings tell a different story. Many who have a choice are eschewing gilts. 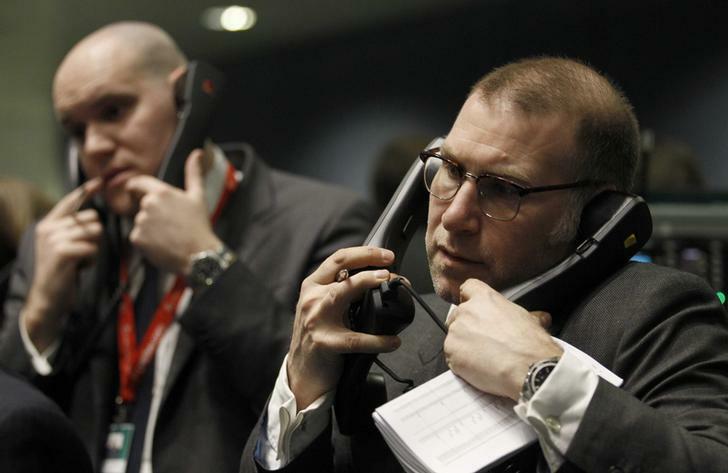 Traders and clerks react on the floor of the London Metal Exchange in the City of London. Britain saw the weakest demand for its government debt in six years at an auction of conventional gilts on April 8. Investors bid for 1.19 times the 4.0 billion pounds ($6 billion) of 2.0 percent gilts maturing in July 2020 on offer from the UK Debt Management Office, the least since March 2009. British 10-year bond yields were at 1.61 percent on April 10. That compares with 1.75 percent at the beginning of the year and the record low of 1.33 percent set on Jan. 30.